Elevated Math is an excellent free iOS app for finding animated Math lessons on a wide variety of topics. These lessons are aligned to Common Core Standard and focus on grades 4th-8th. Also, a user can purchase other apps or lessons that allow students/teachers to print out worksheets, notes, tests, and more. Best of all there, is a built in whiteboard that allows users to work out problems while watching the videos. I highly recommend checking out Elevated Math by clicking here!!! 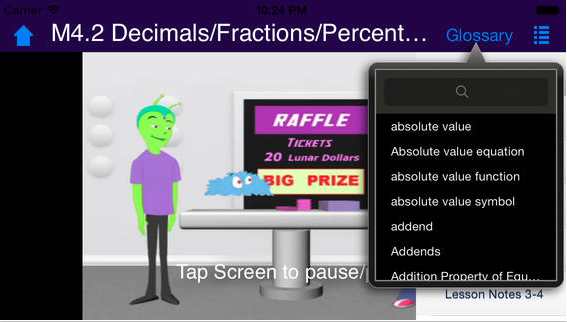 For more information on Elevated Math check out EDshelf.